STEER, THOMAS: Amphikinese und Amphigenese. WALKDEN, GEORGE: Syntactic Reconstruction and Proto-Germanic. RINGE, DON: From Proto-Indo-European to Proto-Germanic. 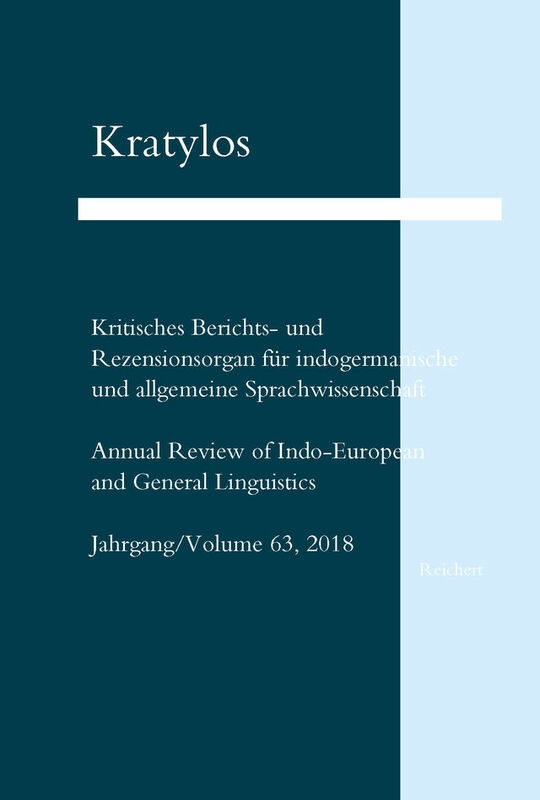 Kratylos is the official journal of the Society for Indo-European Studies (Société des études indo-européennes). The title of the journal is chosen after Plato's dialogue of the same name with Kratylos, in which linguistic and philosophical phenomena as well as above all the question of the arbitrariness of linguistic signs (arbrariness) are discussed. Articles are published in German, English, French, Spanish and Italian.